The aim of the study is to conduct an assessment of the existing street conditions of downtown Kuala Lumpur and to propose strategies to make these streets better utilised, more pleasant and practical for the various users. *Active Mobility is defined as self- powered movement or a means of travel that requires physical effort like walking, cycling and the use of non-motorised vehicles. A.M. supports self-sufficiency, good wellbeing and health. The surveys were confined to streetscapes and focused on the needs for *Active Mobility: People with Different Abilities (PWDA), pedestrians and non-motorised vehicles. The engagement period was from Dec 2015 till 31 Aug 2016. For every passable pedestrian pathway, there are three good vehicular lanes¹. This shows an imbalance where priority is given to motorised vehicles. an imbalance to provided-space where priority is given to passive mobility, motorised vehicles. 219ha and 40km of streets of Downtown Kuala Lumpur were surveyed. The data collected showed an alarming ratio 1:3 of pedestrian pathways versus vehicle lanes, which means for every passable pedestrian pathway, there are three good vehicular lanes¹. This shows an imbalance to provided-space where priority is given to passive mobility, motorised vehicles. ¹One passable pedestrian pathway is averaged at 1.2m wide, approximately for one wheelchair/ pram to maneuver, whereas one vehicular lane is at 3m wide. About 40km of pedestrian pathway were surveyed and almost 80% (32km) are impassable and not up to *Universal Access Standards. Almost 80% (293) of 367 crossing points have no crossing provisions* where only 9% (33) have provisions* prepared. About 32km of vehicular lane were surveyed and more than 80% (26km) were in fair to new condition, of which only 8% (2.6km) had bus lanes. Over 80% (26km) were encroached with illegally parked vehicles on vehicle lane & pedestrian pathways. Additional Observations some other notable observations are the obsolescence of the 5 foot way as a viable passageway, the ‘sinking’ of the city, the importance (& the encroachment) of the alleyways / utility roads and the general slower walking speed (4.3kmh/ a quarter slower than average) of the street users of Kuala Lumpur. Study Area comprises 219 hectares and traces an approximate perimeter of one-kilometre radius around Masjid Jamek, the symbolic centre of Kuala Lumpur. The study area was divided into six main sections. These sections have distinct characteristics and structure. The sections’ perimeters are formed by natural features (river), legacy borders* and major modern roadways. Sample of ratings chart, according to conditions, colour-coded from active warm to cool subtle. 28 items in total. Section Findings 18 rating maps were produced for each section, specific findings and suggestions for improvement were then noted with photo evidence. The interpretation of the rating maps were group into five responses: Pedestrian, Furnishing, Transit, Vehicular, & Signage. The findings and suggestions are overwhelming to highlight, however they are available for download, either by section or as a complete report. Methodology and Parameter Checklist “Assessment Criteria” were worked out between Think City & Studio 25. The survey process employed sight and estimation, and the use photographic evidence. The streetscapes were broken up to segments, where ratings were given to four generalised categories: Path, Street Furniture, Transit & Behavioural. A Summary of all sections with summarised findings are included in this website. Cities are experiencing unprecedented growth. A rapid increase in urban population poses many challenges, including human mobility and movement that are made more complex by issues linked to space, sustainability and affordability. Using Active Mobility / Walkability as the cornerstone to provide a humanistic and environmentally-viable solution. The reports main strategy revolves around the key concepts of Walkability in conjunction with existing projects and infrastructures. The focus is equality in accessibility and space, with proposals for transitional stages of implementation. Improving Streets of Downtown Kuala Lumpur report (ISD) is a 272 page book with 120+ rendered maps and 300+ photographic evidence.  Selected pdf documents are available for download. Appendices of extra studies are included in the deliverables. Appendix / Walking Speed, Pilot Project Jalan Bunus and Pilot 2 Red Index. Delivered 30 August 2016. 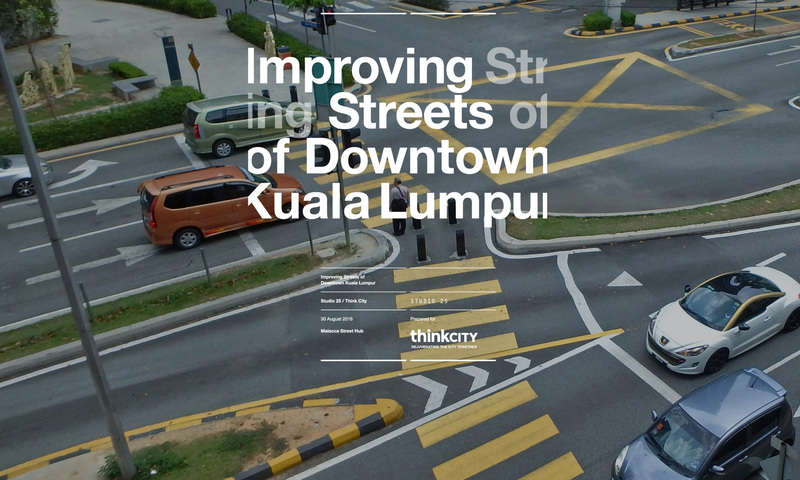 Revised “Improving Streets of Downtown Kuala Lumpur” and published by Think City on 25 October 2017.